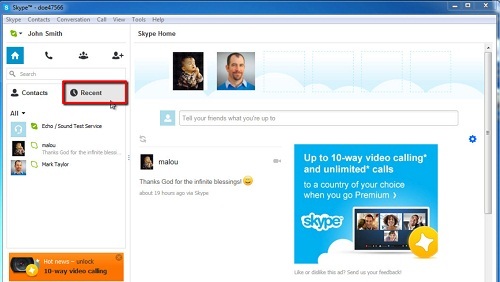 In this tutorial you are going to learn how to view Skype call log. Open Skype and sign in using your Skype credentials. Select the “Recent” tab found below your Skype name in the main window, in the left hand section. Most recent calls to contacts appear at the top of this list, while contacts further down the list represent calls (and/or messages) sent earlier. Step # 2 – View your recent activity, and see call details. Select the contact you want to view the conversation history for. Your conversation history to this contact is displayed in the right hand section of the main window, near the bottom. Details include duration of the call and the time at which you made the call. 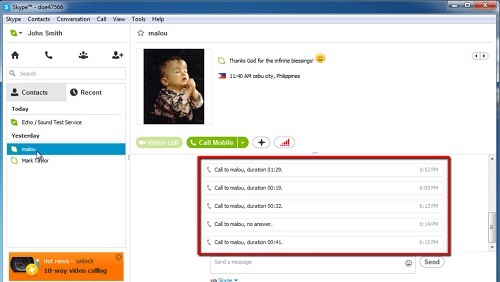 If you wish to view calls to multiple contacts at once, select “Compact View” from the “View” menu item. Now each time you click on a contact to view its history, it will open in a new window. This is how to view Skype call log.